Once the wonderful lotions and potions we’d found at the local Munich Apotheke started to take effect, we were feeling a bit more like exploring and decided to take the advice of a German acquaintance, who had highly recommended Regensburg as a possible day trip from Munich. By train (we had German Rail Passes) it takes about an hour and a half to get there from Munich. Trains run regularly between the 2 cities and we happened to catch the morning one going to Prague, so had the added interest of travelling in Czech railway carriages. We found them very comfortable – just as well as it takes over 9 hours to get to Prague! Back in Regensburg – we arrived around lunchtime and although keen to explore as much of the UNESCO listed Altstadt as possible, our thoughts were turning to lunch. Having crossed the pretty public park opposite the main station and wandered through the myriad of charming cobbled streets, we came to the river Danube. Regensburg is actually situated at the confluence of 3 rivers, the Danube, Naab and the Regen, but the one flowing through the vicinity of the Old Town is the Danube. Nestling in a little corner almost underneath but actually adjacent to the old Stone Bridge (Steinerne Bruecke) is the historic Wurstkuchl. Die Historische Wurstkuchl (Historic Sausage Kitchen) of Regensburg is housed in an ancient building about 900 years old. It was originally used as a building office when the old Stone Bridge was being constructed across the Danube between 1135 to 1146. Afterwards the office was turned into a sausage kitchen feeding stonemasons working on the nearby cathedral and also dockers who worked in the port. Back in the Middle Ages the free city of Regensburg was a hugely important cultural and trading centre because of its strategic position on the Danube. You can find out in more detail about the Wurstkuchl’s history on its website here. Back to the present and Monsieur Le Chic’s face was lighting up at the prospect of an endless selection of Wurst. I am not a great fan of sausages and was somewhat concerned as to what I would eat. However it was cold outside, we were still recovering from the flu and I didn’t want to wander round endlessly looking for somewhere to eat, so I agreed we’d go inside and take a look. 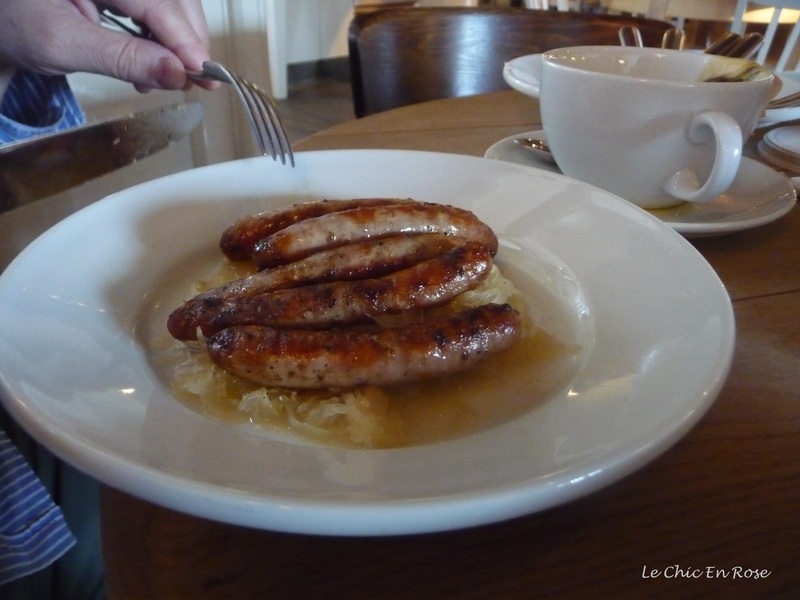 I was won over by the cosy ambiance and charming decor – it was so warm and welcoming that I felt it would compensate for any sausages that I might be obliged to eat, (I’m not vegetarian but I don’t eat much red meat or Wurst!). The restaurant as its name suggests, serves homemade pork sausages along with sauerkraut and mustard (made to their own special recipe). Monsieur chose one of their smaller plates…. 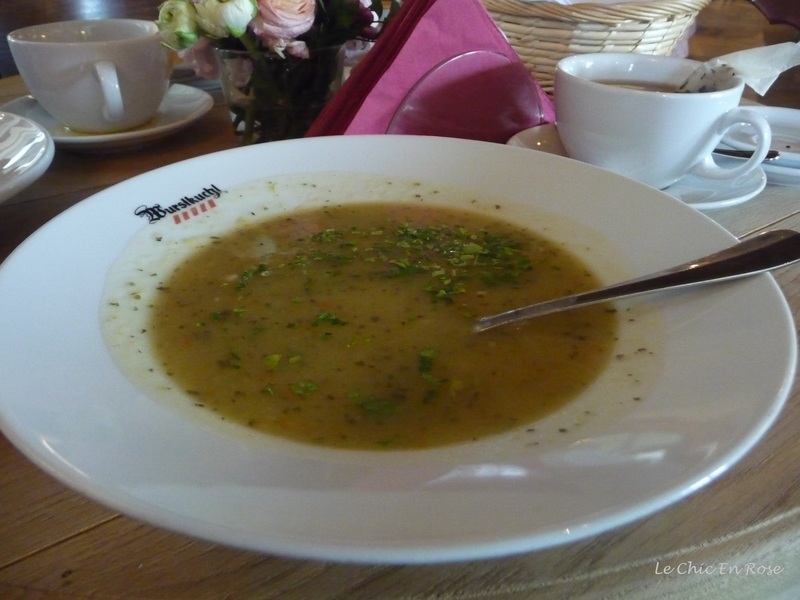 Fortunately there was a wonderful homemade potato soup on the menu, which with hot crusty rolls was superb – flavoured with herbs and just creamy enough, it fitted the bill perfectly as far as I was concerned! There is also an extensive seating area outside by the river, which hardier souls than us were favouring or should I say braving? Certainly one’s perceptions of cold varies depending on where you’re from. I checked the weather app on my phone and the temperature was around 14 degrees with a stiff breeze at lunchtime – not dining out weather in my book! Being right on the Danube the Wurstkuchl will be popular, I would think, with passing tour boats. From the Tripadvisor reviews I read later quite a few of the tours do stop there for lunch, but it wasn’t unpleasantly crowded on the Saturday lunchtime in April when we were there. The staff were polite, friendly and the service highly efficient! Just note that you do have to pay for any bread rolls you eat – they put a basket on the table when you arrive and we assumed they were complimentary until we got the bill (not enough to break the bank though!). The German word “gemütlich” sums up the Wurstkuchl perfectly! It doesn’t really have a direct English translation but means a cosy atmosphere, warm, welcoming – somewhere you feel at home. 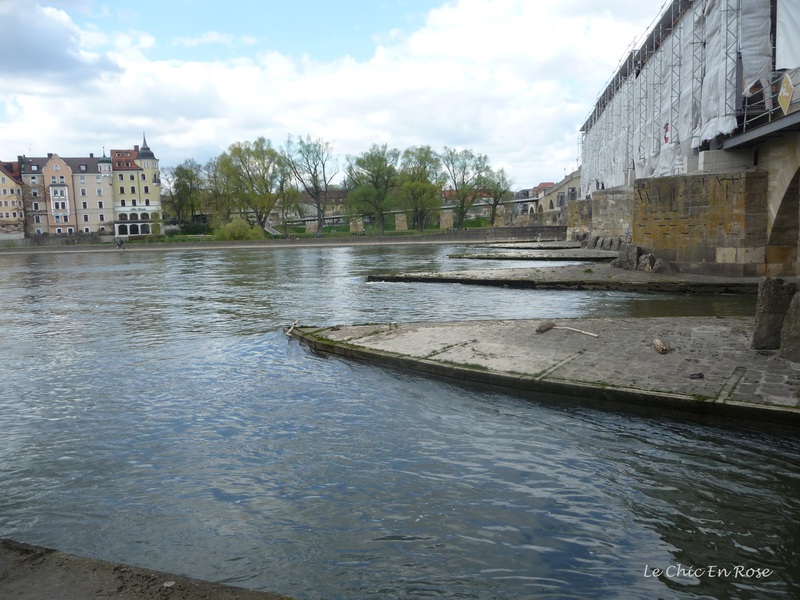 We stepped out of the Wurstkuchl and found ourselves right in front of the fast flowing waters of the River Danube. Off we went to explore more of Regensburg and in particular its medieval Altstadt. More to come – Tschuss till then! 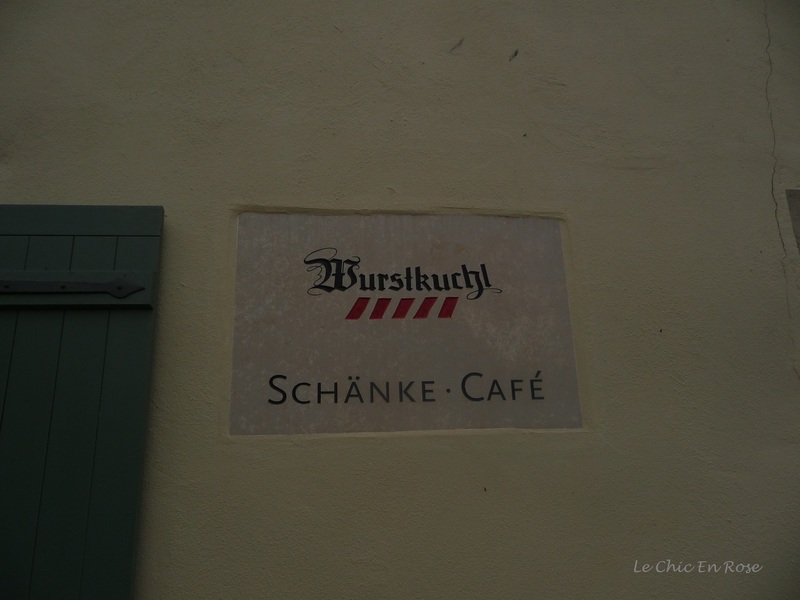 How can you not love a restaurant called Wurstkuchl – the name alone to me conjures up comfort, homely, gemutlich cosiness. If that was a small plate Rosemary I would hate to think what their big portions would be like! The sausages look delicious and I am drooling over that soup too. Looking forward to reading more about lovely Regensburg. Wow, how could anybody eat the 10 portion one Rosemary – incredible!! Definitely warmer here (at long last), was beginning to think we were permanently stuck in winter, so glad to see the sun!! The place looks really cozy even though I guess I’d starve there haha though the potato soups looks delicious! Unfortunately for the vegetarians many traditional cuisines serve meals with a lot of meat – in Prague too, though I was lucky enough they also had some vegetarian options. Did you make the same experience when it comes to traditional food? Oh, I think we would have loved it here – we’re all big fans of sausage. Your husband’s portion was huge! Regensburg looks very pretty, I like being wrapped up and wandering – although I know you guys were getting over your flu! when winter comes, i love eating pork sausages along with sauerkraut and mustard. I’ve never made my sauerkraut myself, the process seems really tedious. But I love eating it !!! Usually, I buy the cabbage already prepared in the supermarket. Then I do the rest myself ! I enjoyed myself, we had a lovely weather. But we didn’t have time to visit much. We’ll be back in July. It’s going well, but I’m a bit tired these days. 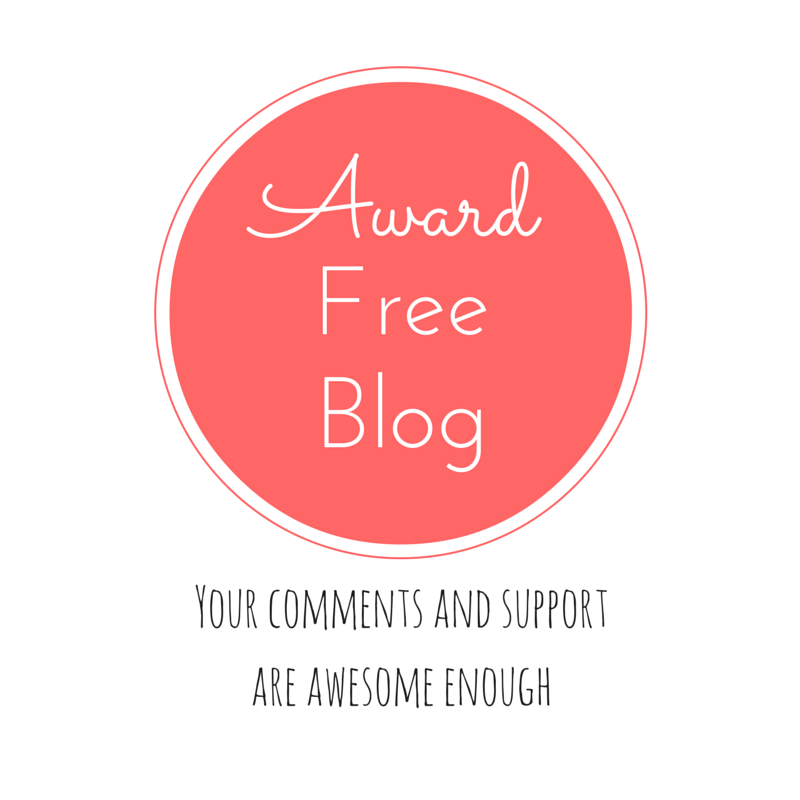 Lovely post, and I agree! The interior of the restaurant would have won me (also not a huge wurst fan — though not completely against it either) over as well. And, I would have opted for that delicious looking potato soup and bread, too. Yum!